Autumn is one of my favorite times of the year. 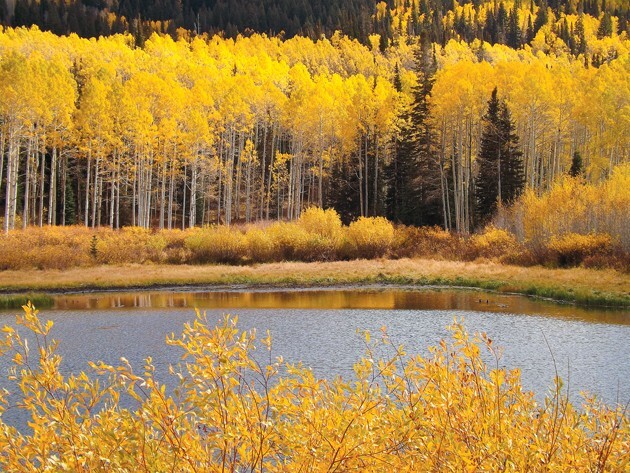 I love the aspen leaves when they turn golden on the mountains. The air is crisp and cool, and in the morning there may even be some ice in the mountain streams. Each fall I visit some of my favorite places to see the colors and I sometimes discover new ones where nature puts on a stunning display — like Willow Heights in Big Cottonwood Canyon. This side canyon is true to its name because it’s choked with aspen trees. 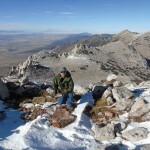 The main attraction of this hike is the high peaks above Solitude Ski Resort to the south that unfold as you gain elevation. There is also the possibility of seeing moose at tiny Willow Lake, which is the destination of this trail. The trailhead can be tricky to find because it’s only marked with a large, white rock that has the words “Willow Heights Conservation Area” chiseled onto it. The rock is located about 0.8 of a mile east of Silver Fork Lodge. 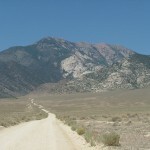 There are wide shoulders on either side of the road in the vicinity of the trailhead and there is a yellow, diamond-shaped 35 mph sign right where the trailhead begins. This sign faces east, so if you don’t notice the trailhead and you’ve gone a mile or more past Silver Fork Lodge, turn around and look for the 35 mph sign on the north side of the road as you come back down. As you enter the trees at the trailhead, you will come to a U.S. Forest Service signboard that has a map of the area and trail distances. The trail is only about 0.75 of a mile to the lake. 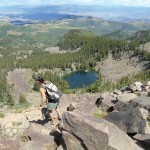 But you will earn every step because the trail is rocky and climbs steeply through aspens, gaining 500 feet of elevation in less than half a mile. The steepness of the trail may discourage some, but there are flat stretches through giant, white-bark aspens where golden leaves carpet the ground. As you approach the lake, the trees give way to a large, open meadow ringed with dense woods of evergreen and aspen. This meadow is full of mountain grasses, wildflowers and sagebrush. If you leave the trail and walk west to where the terrain begins to drop off, you can see across Big Cottonwood Canyon to the southwest, a tower-like block of granite capping Reed and Benson Ridge and 10,403-foot-high Kessler Peak. Back on the trail, after you cross the meadow the trail will climb a small, abrupt rise. At the top, you will reach the south shore of Willow Lake. The lake is an absolutely beautiful place. 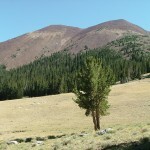 It is set in a bowl 8,500 feet below the Big Cottonwood/Park City rim and is ringed by mature aspen and tall grasses on its east shore and bushes on the south shore. It is relatively free of vegetation on the north shore, where some round rocks dot the shoreline. The trail makes a complete circuit of the lake and if the winds are calm, the trees and mountains are reflected like glass in the water. If you climb the hill on the north side of the lake, you will find some spots in the trees where there are flat rocks you can sit on, eat lunch and enjoy the view in front of you. When you hike in these areas, look for little details that might escape the less attentive traveler. Most of the aspen leaves are gold, but some turn a deep red and have a pattern of yellow veins across their crimson canvas. Others are caught between green and gold with most of the leaf being green but with veins of yellow streaking through it. Other leaves are completely brown, but the majority this time of year are yellow/gold in color. All of these different colored leaves mingle together as they blanket the ground. When my wife and I visited Willow Lake last week, we climbed the hill on the north side of the lake and I noticed a perfectly formed, white and gray hornet nest the size of a basketball. Luckily, and because it was so cold, none of its inhabitants were around. At the shore of the lake there were some ducks. The sun poked in and out of the clouds. When it was out, its rays were warm and relaxing, but when obscured there was a chill in the air. Across the canyon to the south, the east face of the massive 10,479-foot-high Honeycomb Cliffs was streaked with early season snow. Ominous storm clouds began to build that obscured the sun and dramatically lowered the temperature, so we decided to head down. On the way, while walking through aspens, the wind rushed through the trees and golden leaves fluttered, twirled and glided through the air on their way to the forest floor. After a short but steep descent, we arrived back at the trailhead just in time to beat the storm. Willow Heights is a beautiful and accessible place that is great for a quick hike through some wonderful woods to a mountain lake. It is also useful as a quick workout because you will feel the burn after the incline. If you visit Willow Heights this time of year, take plenty of water and some warm clothes. Check the weather forecast before you go so you don’t get caught on the steep rocky incline in rain or snow. For more information, contact the Wasatch National Forest Public Lands Information Center at 801-466-6411.